Eco fashion label Solomon Street has set up shop in Regent Arcade and will release its first summer apparel range at an event in early December. 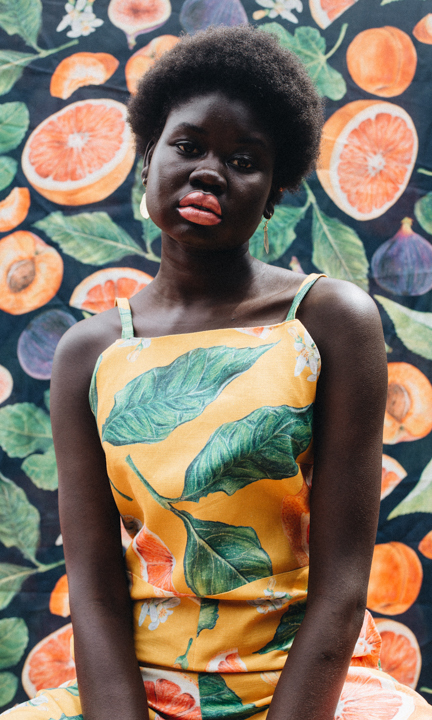 In a little over 12 months, Solomon Street, the eco fashion label founded by graphic designer/barista/entrepreneur Lauren Crago, has gone from paper goods, to swimwear, to now opening its first retail store. Solomon Street’s summer range launch event is happening at Raj House, 54 Hyde Street on Saturday, 8 December from 7pm. Tickets are $15 through Humantix. For more information, see the event page. Located in Regent Arcade (the space formerly occupied by Tether), Solomon Street’s first physical store sees the brand join the ranks of young fashion start ups that have passed through neighbouring shopfronts, such as Created Range (whose founder, Dave Court, now co-runs Mapped Design and paints ev–er–y–thing) and Closet Mod, which continues to trade online. “The first year exceeded anything I could have expected or hoped for. Everyone’s support for the business has just been outstanding, really encouraging,” Lauren says. Most of the space is dedicated to showcasing Solomon Street’s products, with a small workshop at the back of the store. A limited range of Lauren’s products will still be available at selected stockists, but Regent Arcade will now be the official home of the brand. “I really love how the prints interact with the actual style of clothing,” Lauren says. “For me, the prints are quite nostalgic, a reflection [of], and inspired by, my family and the relationship that my mum and grandma and I have with food and each other. This image supplied. Makeup: Krista Jade. Hair: Georgie Sneyd. Photo and styling: Sharmonie Cockayne. Model: Azalea Models. Solomon Street’s continued success comes off the back of a number of ethical and sustainable companies founded in Adelaide. It’s a tight-knit and supportive community, Lauren says, with the most recent group of makers diversifying what eco fashion is understood to be. “People are looking for products that meet their expectations of creativity and something they can really show their personality through,” Lauren says. “Eco fashion is usually more block colours because they’re more versatile, but I really want to encourage people to, if they love a product and love wearing something, to wear it again and again and just wear it in different ways. That’s what the runway will be showcasing. For more information on Solomon Street’s summer range launch event, and to purchase tickets, head to the event page. You can visit the store at Shop 32 Regent Arcade from 10am to 5pm Tuesday to Thursday, 10am to 7pm Thursday, and Saturday from 11am to 4pm.